So, you’re getting ready to purchase a motion tracking system - terrific! No doubt, you’re excited about your subject and results; you’ve visualized the movement you aim to capture, and have a clear idea of how you will use the data you collect. This is a start—now you are on the search for the right motion tracking system. Next, to ensure your success, we suggest you carefully consider the mechanics of setting up your motion tracking system. Missing the mark on motion tracking set up can cause you to miss the mark on your end goal. Markers are placed on the subject; infared cameras positioned to ensure constant line-of-sight. Used in a research lab free of reflective materials. This system requires careful setup and calibration to position cameras for line-of-sight with the markers. If constant data is required, make sure you have enough cameras to capture your subject without breaks in line-of-sight. Cameras can mistake reflective materials for markers. Depending on the number of cameras necessary, this method can be costly. This system works best in a controlled environment. Inertial technology measures orientation, not position. Inertial sensors are placed on the subject and combine 3D gyroscopes, magnetometers and accelerometers. Sensors send signals to receivers. Optical technology is added for a hybrid solution to achieve full 6DOF (six degrees of freedom). Drift can render data unusable. Post-processing can be an effective work-around, but is not a fail-safe. This system can work well when only orientation data is needed, however, drift still needs to be accounted for, regardless of what hybrid technology may be added. Electromagnetic sources emit an electromagnetic field. Small, powerful sensors act as tiny antennas. These highly sensitive sensors can be placed anywhere on the body, or an object and sensors are fully embeddable; they can be tracked in full 6DOF, measuring both position and orientation, without further calculations. Set up involves assessing the tracking area and setting up the electromagnetic source(s). This can be placed on a tripod, on a table or even dropped from the ceiling. Sensors are placed on the body area or object to be tracked. Turn the system on and tracking starts immediately, at very low, industry leading, data latency. Used anywhere! Systems work indoors and outdoors and are not light sensitive. Basic systems can be set up in any environment in three minutes or less. It does not rely upon camera technology, nor 3D gyroscopes, accelerometers or magnetometers. 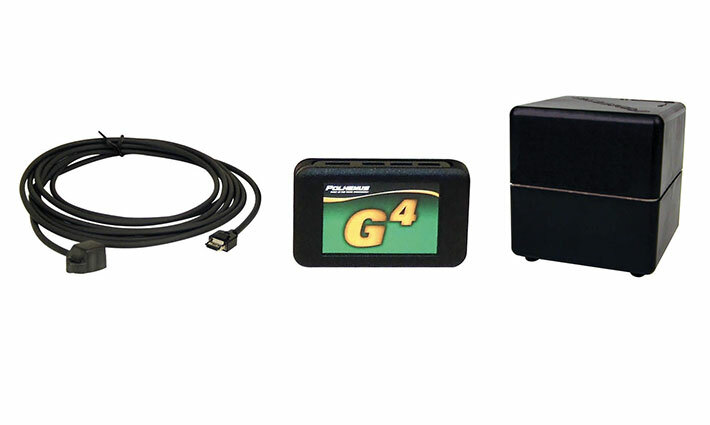 (Polhemus G4 wireless motion tracking system pictured above). Large metal objects should be moved away from the source, to negate or lessen the effects of metallic distortion. Most environments prove to be adaptable; if this is not possible, minor changes in the set up can resolve this issue. Mapping the environment is an option that makes sense for some applications that have less flexibility in adapting the environment; pilot head tracking is an example. This technology tracks full 6DOF, measuring both position and orientation, in the lab or in the field, without concern for line-of-sight issues and at very low data latency. To see a Polhemus electromagnetic system set up and tracking in less than three minutes, view the video.